It is 3.30 PM. In a large meeting room with only 1 window that looks at the cloudy skies outside, 20 people are seated, and 1 person is standing and looking at the screen while talking to them. Some are looking restless, few engaged, but all (including the person standing) wants to get out and continue the work they were on. You can imagine that meeting room to be in any part of the world. It’s perhaps in your own office, maybe you are sitting in that room right now. What is happening in that large meeting room is a training on a topic that is certainly relevant for the 20 people in the room, but unfortunately, the urgency of wanting to get stuff done tends to override the need and even desire to learn a better way of doing things. Trainings have become a thing that needs to be done, rather than a thing that people genuinely want to do. 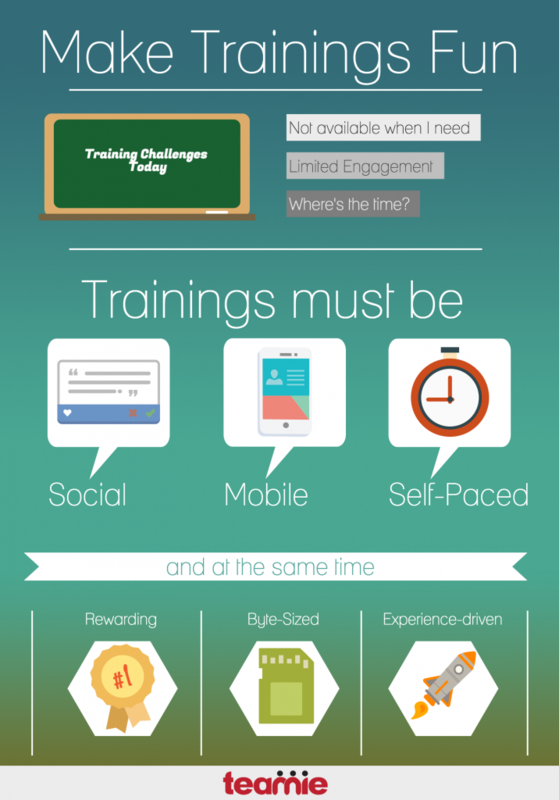 So it is imperative to ask how to make trainings fun and engaging in the workplace? In the past 5 years or so, we have seen platforms such as Coursera, Udemy and the likes see significant uptake and enrollments. This indicates a genuine interest in people wanting to learn new things. However, the one big difference is that it is self-initiated and it is at their own time and pace. At the same time, over the last decade, we have seen how social conversations on platforms such as Facebook and Twitter have dominated our time on the internet, and has transformed us into collaborators and co-creators of content. When you think of learning about something or getting an opinion – there are 2 sources: (i) Google, (ii) your social network. But where do people go when they want to learn or get an opinion on something related to work? Should they wait for the training to happen 3 months later in that large meeting room? Most people in the developed and developing world will check their smartphone within 30 minutes of waking up. The mobile device is the go-to-place for anything today – your work, your play, your avoid-eye-contact-device, anything. Smartphone proliferation rates are through the roof and the expectation that there must an “App for that” is fast becoming the norm. 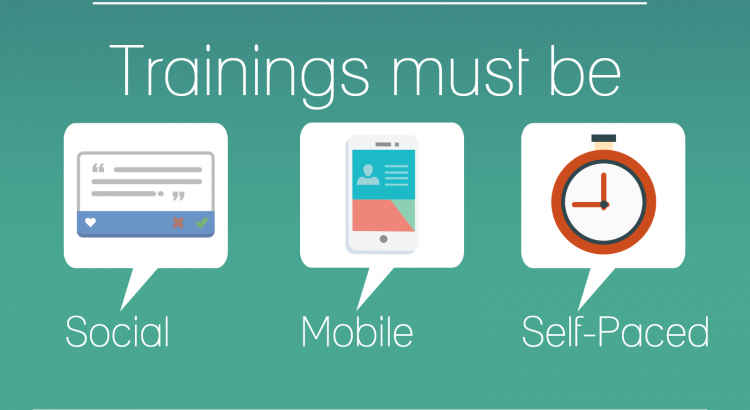 Is the smartphone really smart and delivering any learning outcomes?